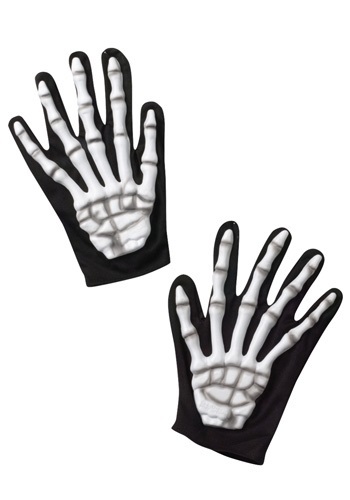 Adult Skeleton Gloves By: Fun World for the 2015 Costume season. Don't be afraid to add more bone to your look. Transform your fleshy fingers into a pair of boney beauties. These Adult Skeleton Gloves are a frightening way to dress for the season of ghouls.